With our 7+ years of experience in software development, your level of expertise in tech is not an issue for us. We can help you, regardless if you’re a fully functioning tech company, or someone coming to the table with just a bright idea. We’re fully ready to assist at any stage of software development your project is in when you reach out to us. Your project has our complete and undivided attention, from the idea conception stage straight on through to the actual product launch followed by maintenance of the product. With so many great technological tools at our disposal, we take advantage of all the modern capabilities to create products on the very vanguard of the tech revolution. 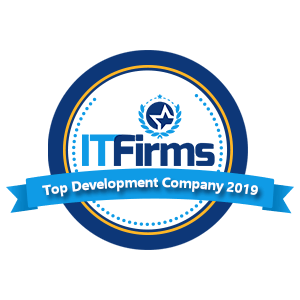 We have at our immediate disposal top level software programmers and coders who have the best track records in software development. The very best companies around the world know they can count on KitRUM because we deliver the best results. We love what we do, and our clients benefit from our passion for producing a job well done. You’re in charge. We make sure that you’re in the know for every step of the way and can freely offer input. We freely generate ideas that are relevant to your solution. Our working environment is entirely safe and secure from outside interventions. We zero in on the end results, and ensure they are something you can take to the bank. You shouldn’t just take our word for it, have a look at some of the previous projects we’ve done for our existing happy clients. We delivered results for them and will be happy to get it done for you too. Due to multiple top-level technical universities, Kharkov has a large pool of highly qualified IT talent, estimated over 10000 IT professionals. The rising local talent pool has spawned a growing tech sector that comprises young, skilled, and passionate individuals. An estimated $120 million was invested in over 300 high-tech start-ups over the last four years. Be our guest! Let’s schedule a call or a meeting! Don’t be a stranger. Give us a ring and let’s get your idea in transit to becoming your pet project or next unicorn.